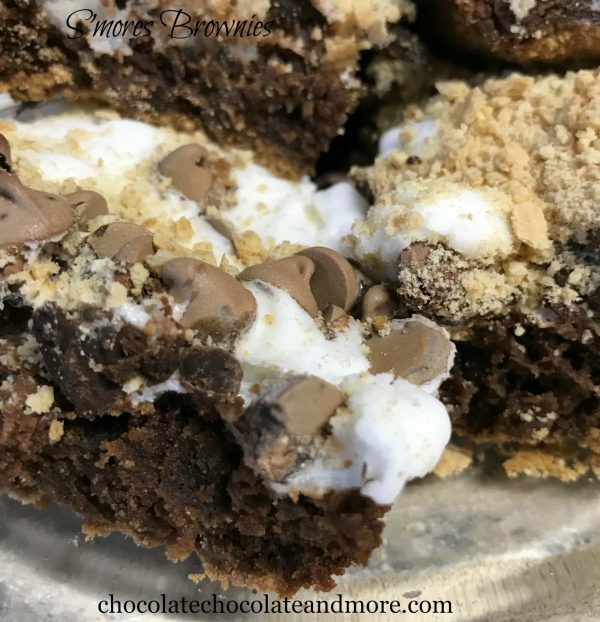 S'mores Brownies - Chocolate Chocolate and More! S’mores brownies conjure up all the memories of fun around a campfire. 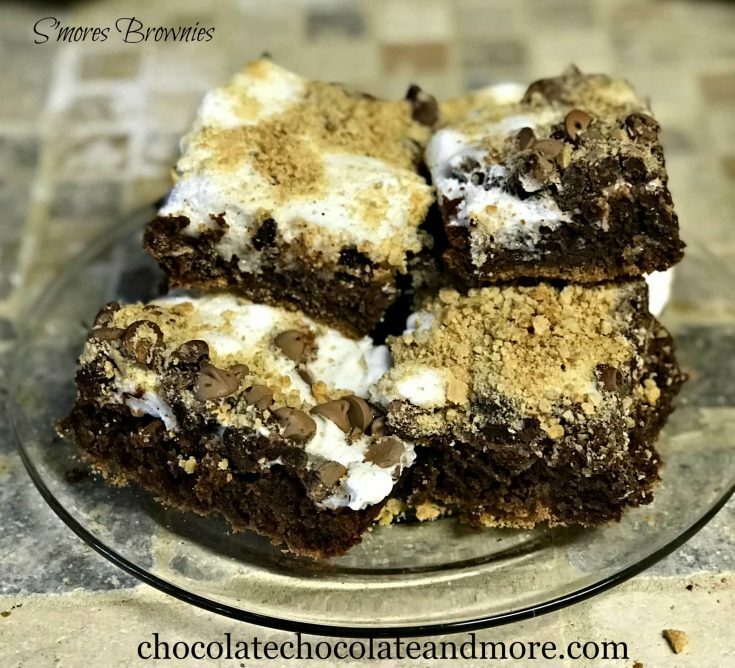 Just like the campfire treat, these s’mores brownies have all the flavors without the mess or the need for open flames. And, they take less than an hour to make! S’mores are one of my favorite campfire treats. I love the chocolate and marshmallow oozing out between two pieces of graham crackers but I don’t love the sticky fingers. I’m on a brownie kick here so thought I’d make some s’mores brownies. If you are in a hurry and don’t want to make the brownies from scratch (One Bowl Brownies is a good recipe to use), just grab a box of your favorite boxed brownie mix and make as directed on the instructions. Timing is key once you remove the brownies from the oven. The heat from the fresh baked brownies melts the marshmallows. As soon as you remove the pan from the oven, add the mini marshmallows until the top of the brownies are completely covered. Then sprinkle on the chocolate chips and place back in the oven for about two to three minutes, until partially melted. Remove the brownies and sprinkle the crushed graham crackers across the top and they’re ready to serve. I would recommend serving either hot or warm so as to get the full S’mores effect, but these will keep for an additional day or two if you have left overs. Just pop one in the microwave for about 10 seconds to heat up and get the melty texture back in action! Place the graham cracker squares into a large Ziplock bag, remove all excess air, and seal. Using a rolling pin or meat tenderizer, crush the graham cracker squares into small bits. Set aside. Prepare brownie batter according to recipe or box directions. Line a 9" x 13" pan with foil or parchment paper then grease well or spray with cooking spray. Layer the bottom with half of the crushed graham cracker pieces. Spoon batter on top of the graham crackers. Bake in a 350°F oven for 30 minutes. Test for doneness using toothpick. You want cooked crumbs sticking to the toothpick. Remove brownies from oven and top evenly with mini marshmallows and chocolate chips. Place pan back into oven for 2-3 minutes, until topping begins to melt. Remove from oven and sprinkle remaining graham cracker pieces over top. 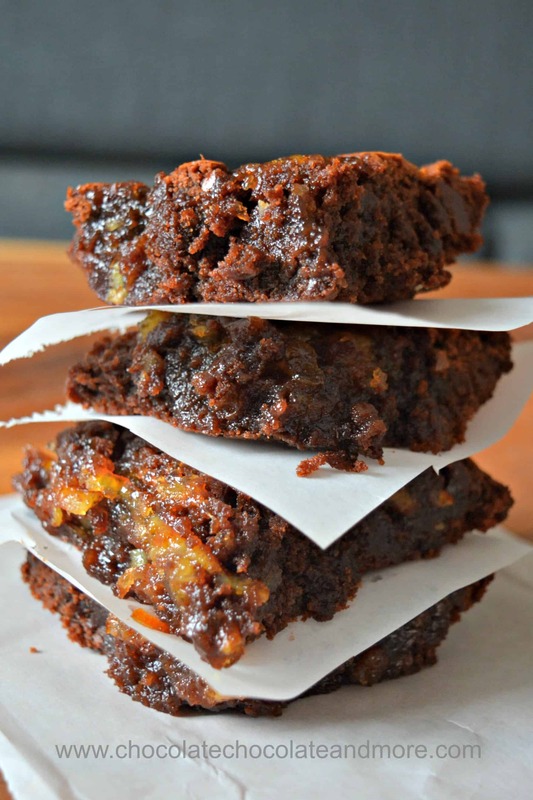 Use foil/parchment paper to remove brownies from pan. Cut into squares.